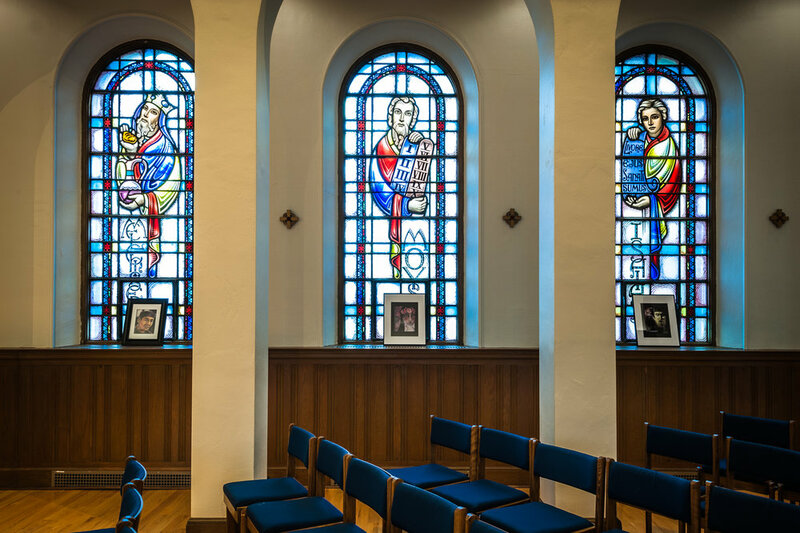 Chapels and other sacred sites dot the campus as part of the College’s commitment to care for community members academically, socially and spiritually. Members of the Society of Jesus (the Jesuits) opened Boston College in 1864 to educate the predominantly Irish Catholic immigrant community. The College has grown enormously since that time and today includes undergraduate and graduate students from a range of backgrounds in eight schools and Colleges. Chaplains, today called campus ministers, pay particular attention to the spiritual lives of students. 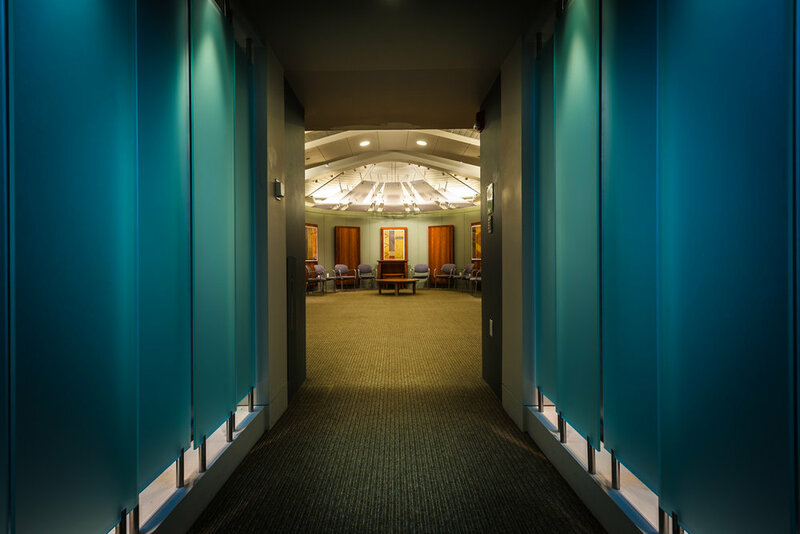 Catholic chapels remain across campus including St. Joseph’s Chapel in the basement of a first year residence hall. There since the 1970s, Mass takes place at 10pm Monday through Thursday and three Masses take place on Sunday led by Jesuit and diocesan priests. An image of Mary of Guadalupe inside the chapel signifies the diversity of Mass attendees. St. William’s Chapel at the School of Theology and Ministry (commonly called the STM Chapel) was built by the archdiocese in 1937 when the land on which it is located was owned by the archdiocese. Used primarily by graduate students, Catholic Mass takes place daily except on Thursdays and Byzantine liturgies are regularly held as well. 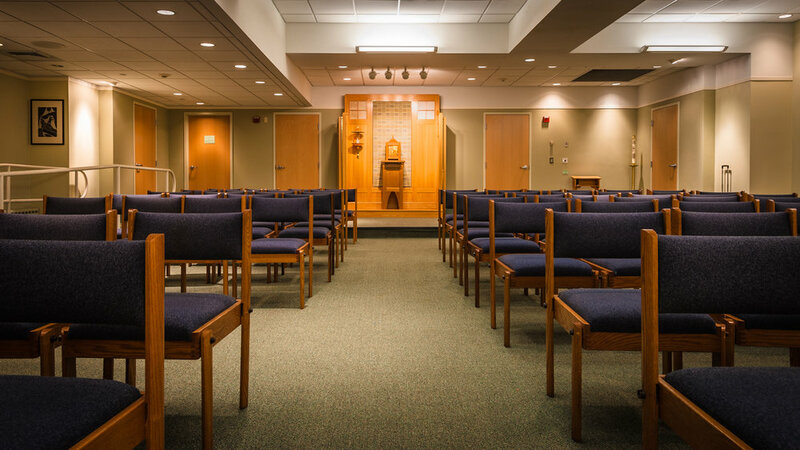 A multi-faith center was opened at 66 Commonwealth Ave, a sophomore residence hall, a number of years ago to make space for non-Catholic services. 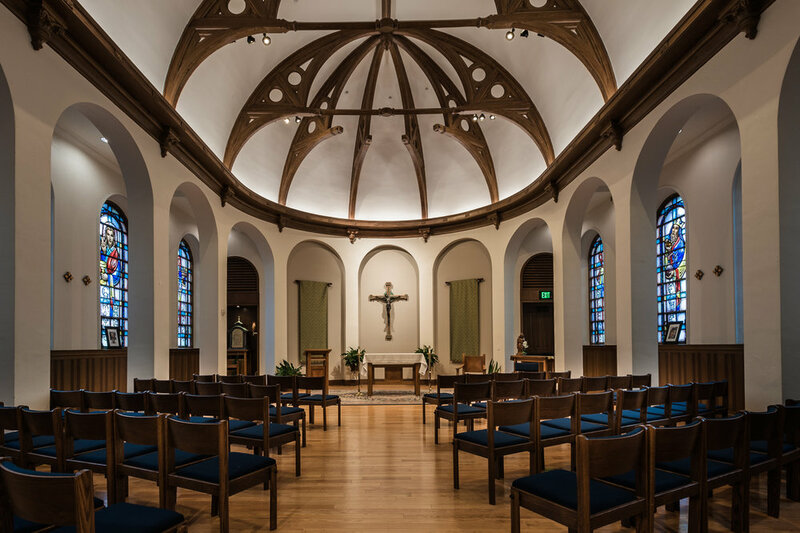 Episcopal mass, Muslim prayer, Buddhist gatherings, Jewish services, meditation groups and others gather in this space weekly. 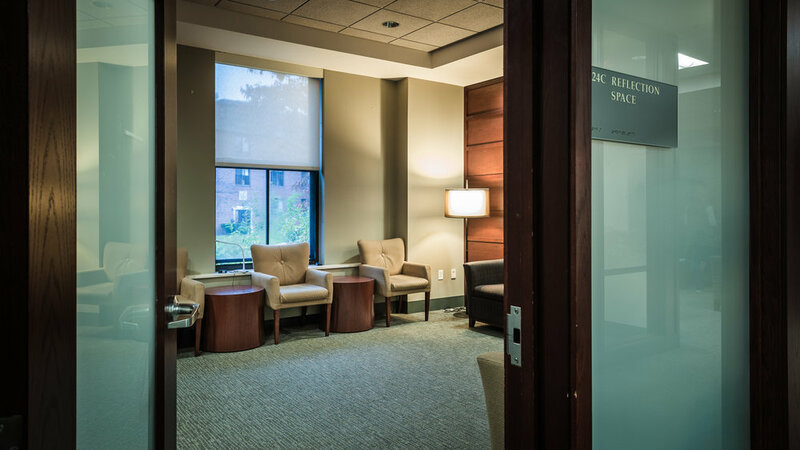 Many residence halls also include small reflection spaces where groups gather including regular CURA or Christian Life Communities. A labyrinth was built in 2003 as a memorial to the 22 Boston College alumni lost in the 9/11 tragedy. These spaces, like most buildings at Boston College, include some puddingstone in their construction in a way that aims to unify the campus architecturally.